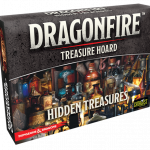 Heroes Wanted: Dragonfire On Store Shelves! 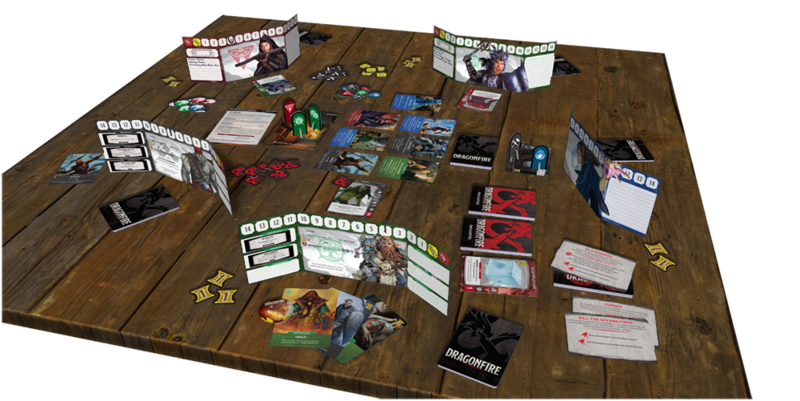 Dragonfire is a 2- to 6-player deck-building game based on the lore of DUNGEONS & DRAGONS®. Players choose from a number of races, from dwarf to elf, half-orc to human, while assuming the quintessential roles of Cleric, Rogue, Fighter, and Wizard. Equipped with weapons, spells, and magic items, players begin their adventure along the famed Sword Coast, then expand to other locales across the Forgotten Realms—such as Baldur’s Gate, Neverwinter, and Waterdeep—in future expansions. Along the way, players level up their characters, earning additional equipment, abilities, and more. Join the quest, and build your own legend! 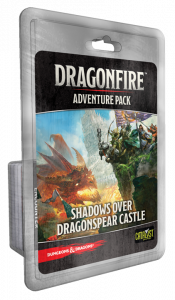 Catalyst Game Labs is pleased to announce that Dragonfire will be available on game store shelves November 15th! 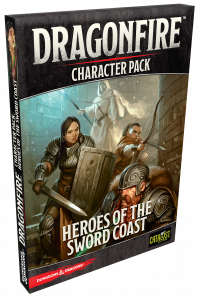 HEROES OF THE SWORD COAST: Rally your forces with 32 additional race/class combinations in this Character Pack, including the Ranger, Druid, Warlock, and Bard. Also includes additional Market cards, as well as a bevy of new ability stickers! 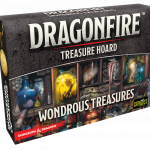 WONDROUS TREASURES: Empower yourself with an expanded deck of magical items gleaned from the hordes of monsters or discovered in long-lost vaults. HIDDEN TREASURES: An additional deck of fantastical magic items can be found with participating retailers. Play a game in their store and perhaps find a magic item you’ll discover no where else. Ask your local retailers if they have the Hidden Treasure deck! SHADOWS OVER DRAGONSPEAR CASTLE: Evil awaits in the catacombs surrounding Dragonspear Castle. Challenge two new decks of encounters, and gain all new magic items and Market cards in the first Adventure Pack! Coming December 2017! 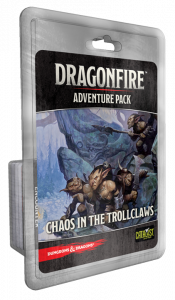 CHAOS IN THE TROLLCLAWS: Monstrous hunger shall not be denied in this second installment of the Dragonfire Adventures. New encounters await, guarding precious treasures for the stalwart adventurer. Coming January 2018! And so much more action to come: the Sea of Swords, the Moonshae Isles, Calimshan, and beyond! To ensure maximum support for brick-and-mortar stores, this initial release will not be sold off our website. Once reinforcements arrive, then we’ll make Dragonfire available to purchase there. Finally, to celebrate this wonderful moment of excitement and adventure, the full Dragonfire Rulebook PDF is available to download for free, along with a comprehensive FAQ (both are found on the downloads page). Visit www.dragonfirethegame.com for future details.